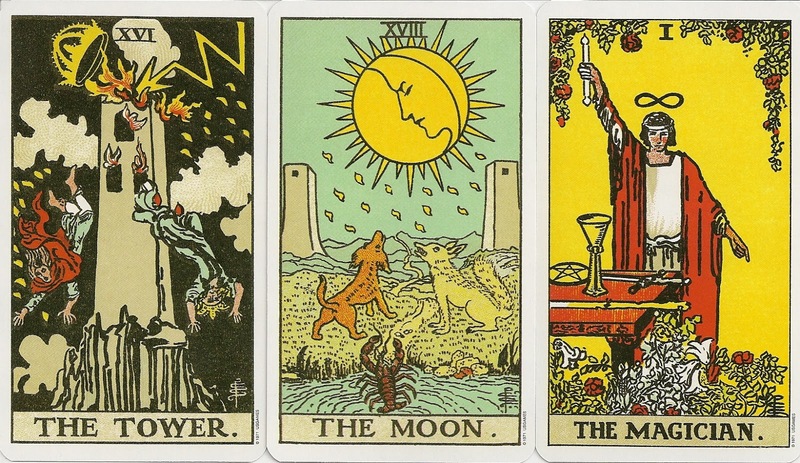 The first edition of the Rider-Waite Tarot appeared in December 1909 originally published by Rider and Sons, London. This publication came to an end during the Second World War when the printing plates were destroyed in the London Blitz. The original artwork had probably been split up for sale (it has never been unearthed again).US Games began publishing the deck in 1971. They now have the copyrights and patents on all the various permutations of the decks name. Rider and Sons are once again publishing their own edition by arrangement with U.S. Games. 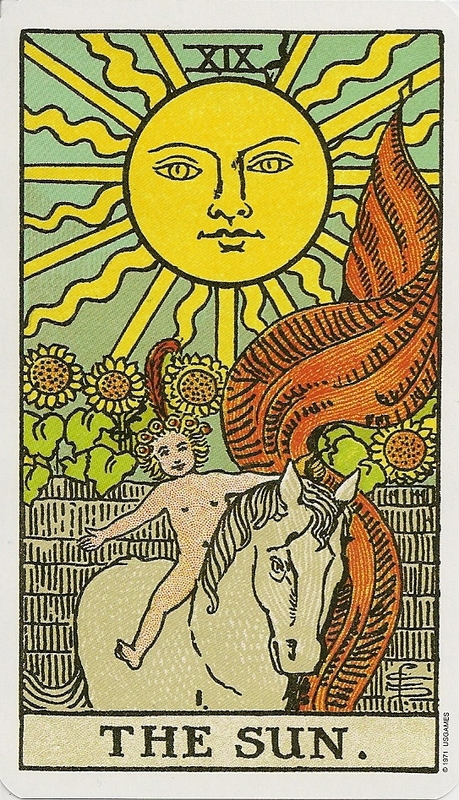 The Originial Rider Waite Tarot, published by US Games in 1999, is a facsimile of a very early edition Rider-Waite Tarot, which is part of Stuart R. Kaplan's collection. 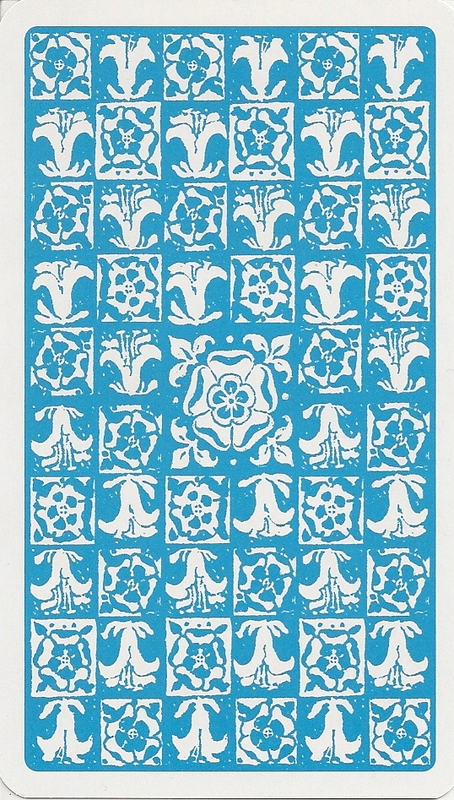 The back design is a blue and white pattern of roses and lilies. Other early editions feature the rose and lillie design in brown and red, or a crackled back. Waite described the rose as "the Mystic Rose, which signifies life". 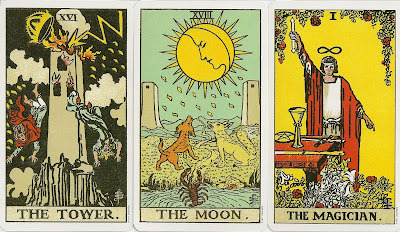 There is an article from 1999 by Frank Jensen in the Manteia Courier, which explains how to identify different early editions of the Rider-Waite Tarot. 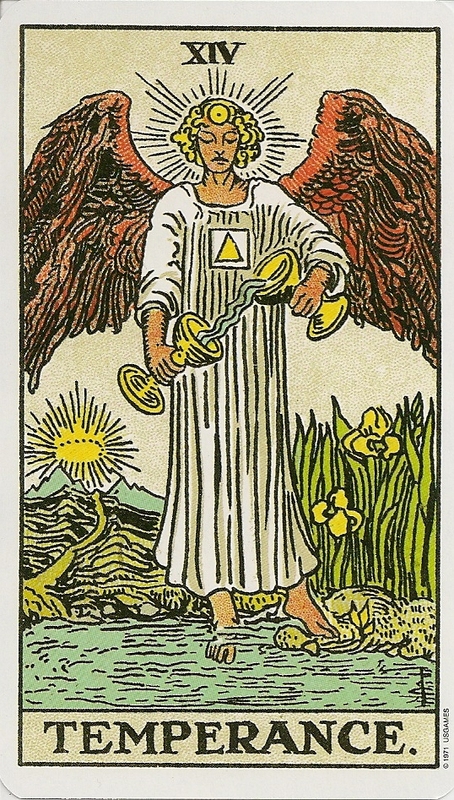 The Original Rider Waite Tarot seems to be a facsimile of a so called Pamela-C variant from 1910. Pamela-C versions have dotted tinting and a sun card with a heavy undulating line plus extra line (see picture upper right side near the number). The cards of the facsimile edition from 1999 have a 1971 US Games copyright statement on each card. My copy was printed in Belgium and distributed by Rider and not by US Games direct. It came in a dark blue box with gold rose and lillie design.